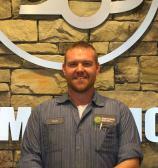 My career at North Main Motors began in September of 1996. It was and remains the only job I have ever had in the automobile business. I'm still here because I love what I do - and I do what I love! North Main Motors has given me the opportunity to work with and help others any way I can. I have been working in the sales department just shy of two years now and the atmosphere here is something that cannot be replicated. I spend my free time chasing my 5yr old daughter around and I love every minute of it! The support of my family and wife is everything. I am dedicated to providing you with the quality and respect you deserve. Feel free to give me a call or send me an e-mail any time! 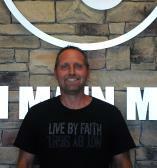 I started with North Main Motors in September of 2008 after deciding to leave the retail clothing world. I am a wife, mother of 2 boys and have 2 step-children. My family enjoys baseball, anything water related and eating ice cream! Being a part of a family owned small business has been very rewarding; North Main Motors is a place where everyone knows your name and wants to be involved. I have worked with and met many people through my time here and always happy to see a customer leave with a smile. Bring on the next 10 years! 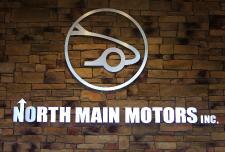 I joined North Main Motors in May 2014. 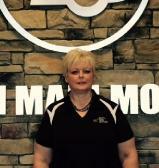 Working in the office as the title clerk; I have enjoyed getting to know our loyal customers. In my free time, I love taking road trips with my husband and watching the Chicago Cubs Win! I joined North Main Motors in May of 2014 in our reception department and have now been the inventory manager for 3 years. I enjoy cooking, cleaning and spending time with family. I joined North Main Motors in July 2014 and what a great change it has been!! The family and staff are so welcoming and helpful it makes it a pleasure to come to work every day. I’m thankful every day to be associated with this company that really cares for its employees, customers and community. In my spare time I enjoy playing games, cooking, crafting and gardening. Hi! 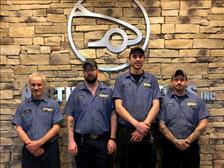 I've been employed with North Main Motors since 2009. Currently, I'm their service manager. I've been in the automotive field since 2006. I graduated from University of Northern Ohio in Lima with a diploma in Automotive Tech. I'm ASE certified and working towards becoming a Master ASE Certified Technician. From the moment you step on our lot until the time you drive away in your next car, your buying experience with North Main Motors is our number one priority. We encourage you to use the expertise and resources of our sales staff - they are here to help you find the right car at the right price. Call us today at 937-644-4848 to schedule your test drive!